Southampton: In a spectacular ceremony in Southampton, UK, in early March, that included a performance from Italian music legend Andrea Boccelli and an appearance by the ‘godmother’ of MSC Cruises Sophia Loren, MSC Cruises officially welcomed its newest build, MSC Bellissima, a 1-billion pound investment, into its rapidly growing fleet. Gianluigi Aponte, MSC Group Founder and Executive Chairman; Pierfrancesco Vago, Executive Chairman, MSC Cruises; Gianni Onorato, CEO, MSC Cruises; Mayor of Southampton, Stephen Barnes-Andrews and many dignitaries from around the world attended the proceedings at the port bay. According to him repeat guests are demanding exotic itineraries like Antartica, North Pole and Northwest Passage, and unique on-board experiences. MSC Cruises is transforming dining, entertainment and technology by listening to customers. “We are designing and building ships thinking 30 years ahead. This year we will welcome on board 2.8 million guests,” said Vago. Like other ships in its fleet, MSC Bellissima pushes the boundaries of ship building and design. MSC’s commitment to safeguard the environment, manifests in the form of latest environmental technologies like a cutting-edge exhaust gas cleaning system, an advanced wastewater treatment plant, a ballast water treatment system, heat recovery systems and LED lighting. MSC Bellissima is the fourth ship to join the fleet in less than two years. MSC Cruises’ fleet expansion programme will see another 13 next-generation cruise ships by 2027. These include four world class mega-cruise ships capable of welcoming nearly 7000 guests as well as four smaller ships (1000 guests capacity) that will serve the ultra-luxury segment. MSC Bellissima makes it to the list of top 10 largest cruise ships in the world. The second of MSC’s Meraviglia class of ships, Bellissima enters service with a maximum guest capacity of 5686 in 2217 cabins. MSC Bellissima, the second of this class of ships, picks up right where MSC Meraviglia left off, with a lot of the same standout features, including the top deck aqua park, the specialty restaurants of Butcher’s Cut and Kaito Teppanyaki and Sushi Bar, Jean-Philippe Maury’s Chocolat & Cafe and his Crepes & Gelato on the ship’s promenade, the Technogym fitness area, and more. The ship’s centerpiece remains the Mediterranean-style, two-deck, indoor promenade that runs under a constantly changing, 80-metre long LED sky. Depending on time of day, guests will get a completely different feel on MSC Bellissima’s promenade because of the constantly changing LED screen ceiling, the largest at sea. Attached to the promenade are six Swarovski staircases with an astonishing 640 Swarovski crystals per step, another feature carried over from MSC Meraviglia. MSC Bellissima also features the MSC Yacht Club, the brand’s ship-within-a-ship area for its luxury guests that includes a private restaurant, lounge and pool area along with perks like private butler service. While MSC Bellissima carries on the traditions of MSC’s Meraviglia class it also has some unique features. The first is HOLA! Tapas Bar which was brought on-board through a partnership with celebrity chef Ramon Freixa. The restaurant replaces Eataly from MSC Meraviglia, sitting in a similar spot along MSC Bellissima’s promenade. It offers a classic tapas menu in both communal and individual seating along with wine, beer, and cocktails that include Spanish sangria. Also new on the ship’s promenade is L’Atelier Bistro, an 80-seat French bistro offering classic French fare including a pig bourguignon, steak tartare and duck confit, along with some lighter fare like butter croissants. For entertainment, Bellissima offers six original Broadway-style shows that are unique to the ship: ‘Pink’, ‘Ritmo’, ‘Solid Rock’, ‘Incantesimo’, ‘Quick’, and ‘Eden’. All take place in the ship’s London Theater. MSC’s partnership with Cirque du Soleil continues on MSC Bellissima, but not with the same offerings. Guests on the ship will have the chance to experience two brand new Cirque shows, exclusive to MSC: ‘SYMA’ and ‘Varelia’. Both are performed at the Carousel Lounge, an intimate, 400-seat venue tucked away behind the ship’s casino that features a 40-metre-long LED screen and a 360-degree rotating stage. Also new for MSC Bellissima is the VIVE virtual reality maze on the ship’s entertainment deck. All MSC Bellissima guests will have the opportunity to meet and interact with what MSC Cruises CEO Gianni Oronato called the “most expensive but most productive” crew member: ZOE, a new virtual personal cruise assistant. Something like Amazon’s Alexa but custom-made to enhance the cruise experience. MSC Bellissima is the first MSC Cruises ship to feature ZOE, the world’s first virtual personal cruise assistant, which has been added to the ‘MSC for Me’ app. The voice-enabled virtual personal assistant will be found in every cabin and can answer hundreds of questions about the cruise. ZOE can be activated by saying “Okay ZOE”. Developed in association with Harman, a Samsung company, ZOE speaks seven different languages and can help guests book shore excursions and spa treatments, find out what’s happening on-board, and provide updates on the ship’s itinerary. It learns on-the-fly, using artificial intelligence to adapt to each guest’s preferences. Onorato said the idea behind installing ZOE was to provide the “next level of guest experience for all the guests of MSC Cruises” and to allow guests to get the personalisation they crave from their rooms. ZOE also allows guests to use it as a Bluetooth speaker. “Where we take our guests remains the number one driver for the choice of cruise,” said Onorato. After its naming ceremony and christening in Southampton, MSC Bellissima now heads to one of MSC’s staple regions, the Mediterranean, for its inaugural season. There it will sail the Central and Western Mediterranean itineraries out of Genoa, Barcelona, Marseille, Naples and more. After that, in November, the ship will move to the Emirates and the Gulf for the 2019/2020 winter season. 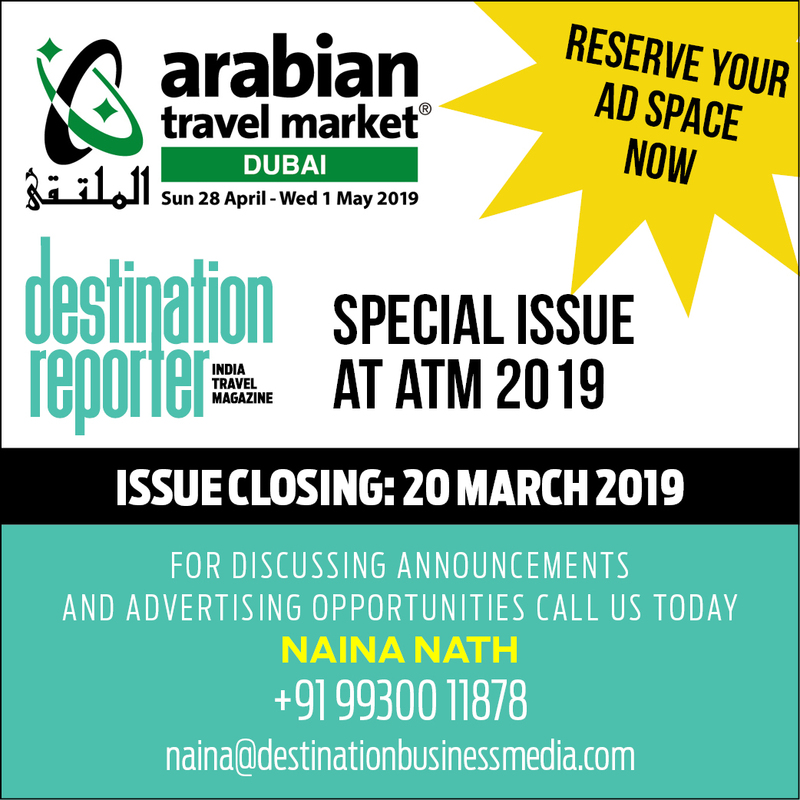 It will sail seven-night itineraries out of Dubai that include stops in ports such as Abu Dhabi, Sir Bani Yas Island, Khor Fakkan, Khasab, Bahrain and Doha. MSC Bellissima will then move to China for 2020, a region that is always looking for the newest and biggest ships. Angelo: MSC Bellissima is the same size as MSC Meraviglia but the room breakup has changed. We have increased the number of single cabins as requests are pouring in. We have also introduced cabins for families – two inter-connected rooms for 10 guests. This will benefit Indian guests especially since they travel as large groups. Kunal: India has always been a value-for-money market and not a price-sensitive one. We see more than 80 per cent demand for balcony and above category cabins. Suites and Yacht Club are also registering decent growth. Angelo: MSC Cruises has witnessed impressive growth in emerging markets. In India, we reported 40 per cent growth in 2018 compared to 2017. One of the biggest contributors to overall revenue is the emerging markets – more than 22 per cent. Kunal: We are excited to see growth in demand from India for the North Europe sailings which is a premium product. In fact, this is the most popular itinerary in India. North Europe is picking up because of Russia and Finland in the itinerary. In the Mediterranean, we are the only cruise liner with around-the-year sailings. So the West Mediterranean (Spain, France and Malta) itinerary also has tremendous demand. West and North India markets are very important for MSC Cruises. Kolkata and the Southern markets are presently slow growth markets. Tier II and III cities have always been strong game changers as travel agents there have been bullish about the cruise product. Angelo: MICE business is on a roll. Ad-hoc family groups is also growing well. Each booking comes for 20-25 cabins. More and more families are also celebrating anniversaries and birthdays on board. Kunal: India MICE is 30-35 per cent of overall business now. We are expecting further growth this year. We would love to cater to the wedding segment. Indians are warming up to weddings on cruise. But the challenge is that Indian families prefer to do their weddings at destinations which are 4-5 hours flying time. Our sailings are mostly in Europe and visa has its own challenges. That is why Far East as a destination for cruising attracts more wedding groups than Europe. Angelo: We are welcoming more than one new ship every year. By 2027, our fleet will more than double. We are developing new markets and existing ones. We will be able to send ships to new destinations and Asia will see more deployments. The share of cruising in Europe is still very low compared to the US. So there is a lot of room for growth. Kunal: We have a lot to say because of the new ships we are bringing into the market. MSC Cruises is making a huge investment in new ships. The ships are not all the same – they are different prototypes to cater to various kinds of customers. I believe bigger ships work well with Indian audiences. Indian guests like their first cruise to be on the biggest / latest ship and thanks to our fleet expansion programme, we have a great advantage – new, bigger, different ships till 2027. Angelo: MSC Cruises has a very different strategy compared to other cruise operators because we are in all markets and host global customers – 54 markets to be precise. In November, we will launch MSC Grandiosa in Berlin.